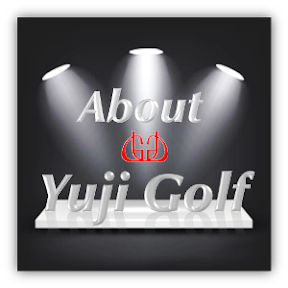 At times we do add lead weight on driver head to adjust trajectory or direction.For past these few years, there are golfers whom prefers to use driver head with screw type weight instead. Today, let me explain about adding weight principle. When you buy lead weight at any golf shop ,be aware on the manual instruction might be incorrect. Most manual instructions shows : Point A is to avoid hook / Point B is to avoid slice.Actual fact it is totally reverse. Point A : Increase the gravity angle and avoid slice. 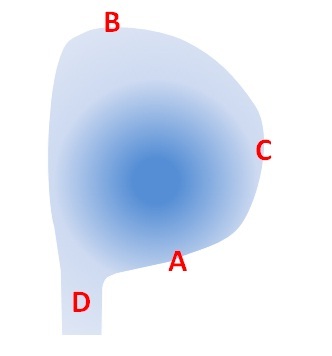 Point B : Lengthen gravity distance and avoid hook. Point C : Increase the impact loft by using centrifugal force for higher launch angle. Point D: Making head weight heavier only ,no changes in any of characteristic. Advisable not to add weight too much : These will cause your head speed to slow down and affects your shaft stiffness. ( Minimum 5 gram or maximum 10 gram at least). By adding roughly around 10 gram on driver head, the flexibility of the shaft becomes softer by half flex ,in other words < SR> becomes .Other wise just to make it heavier,you can add weight onto the shaft instead. There are golfers whom add weight on the grip end just to increase head speed, but the outcomes of these results shows it slows down or decrease the head speed in many cases.